My name is Marnus Bezuidenhout. 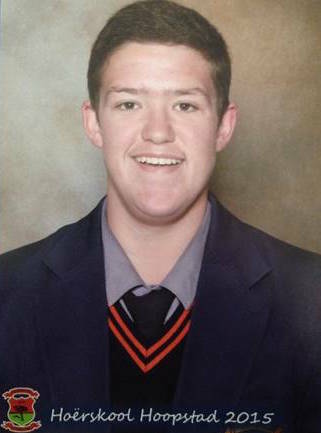 I am 17 years old and a student at Hoërskool Hoopstad in the Free State. I started investing when I was 14 years old. Since then I have grown more and more interested in investing, and my knowledge has grown as well. I am always on the lookout for something to invest in that is easy to use and where I can be hands-on with my own investments. A year ago I heard about Purple Group’s EasyEquities platform. I was very excited to begin with this new, easy way of investing. This was the perfect opportunity for me. The first share I bought was Purple Group. I really like the company, and Emperor Asset Management – one of EasyEquities’ sister companies in Purple Group – manages my long-term geared portfolio. I wanted to hedge the brokerage and management fees. In March 2015 I started investing in shares that I liked and thought were good buys. I buy shares that have the potential to become 10-baggers – shares that are well management and have an edge in their sectors. I have read the book “One Up on Wall Street” by Peter Lynch, which gave me useful insight and knowledge. I enjoy EasyEquities because the platform is the best in the country. The team there is supportive and shares useful news on a regular basis. It’s easy to understand and you can use it from anywhere you like. I used to go to the restrooms at school between classes or at break time to allocate my funds on my cell phone into the shares that I love. Nowadays a teacher of mine has made an exception for me to use the IT class’s computers when I want to enter my trades and view my portfolio. I raise funds to invest by wheeling and dealing in my home town. I sell second-hand farming equipment and livestock for commission. I put my commission into EasyEquities and invest in my favourite stocks. I also use my lunch money that my parents give me for school. I save it every month so that I can invest more. Instead of eating junk food at school I wait until the afternoon to eat at home. My goal every month is to put R1 000 into my Easy Equities portfolio. I can honestly say that I had reached my goal every month. I believe financial discipline is a key ingredient if you want to be a successful investor. The Easy Equity platform is EASY to use and it makes investing fun!